Home / Reynolds Training Academy Blog / Qualify as a Beauty Therapist in just 12 weeks! Fancy a career in the Beauty industry, working flexible hours to suit you? 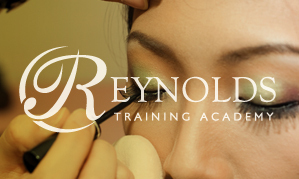 Become fully qualified in Beauty Therapy Level 2 or 3 in just 12 weeks with Reynolds Training Academy. Attend one week intensive training followed by 8 hours theory training plus 8 hours work experience in our student salon. We have made the training flexible so you can attend during the day or in the evening. Once qualified you can work in a salon, spa, cruise ship or even go onto teach (once experienced). Alternatively, why not work for yourself as a mobile therapist? It will give you the flexibility and freedom over your working hours and income. Reynolds can provide a discounted Beauty kit, offer public liability insurance and a “Working for yourself” workshop covering all the legal and practical aspects of setting up as a mobile therapist or salon owner. Training takes place at Reynolds Fitness Spa in either Bexley or Sittingbourne. Limited places are available – Please contact 01322 275807 for more information and start dates.